Soccer is a game that is played throughout the world and is becoming more and more popular each year in the United States. As soccer gains popularity the number of participants increases. There are currently many different indoor and outdoor leagues and fields throughout San Diego County. These leagues are filled with individuals of all ages and skill levels. They range anywhere from ex-professional players to “weekend warriors” who play once a week. As more and more people sign up for soccer more injuries can occur. I see a wide variety of injuries related to soccer. Most of theses musculoskeletal type injuries occur in the lower extremities, which include the hips, knees and ankles. At our sports medicine practice we see a direct relationship between injuries, age and frequency of play. As a person ages and increases their frequency of play they are more likely to sustain an injury at some point. There are many different muscle/tendon/ligament type injuries that can occur while playing soccer. Some of the most common injuries include—various muscle strains, ACL and PCL tears, MCL and LCL tears, shin splints, patellar and achilles tendonitis or tendonosis, groin pulls, meniscus tears, ankle sprains, hamstring and quadriceps strains. Below is a list of some of the more common soccer injuries that we treat in our clinic on a regular basis. The ACL is a strong band of tissue that connects the femur to the tibia. This ligament is located deep inside the knee joint. The ACL adds stability to the knee and prevents it from twisting and sliding forward. The ACL is most commonly injured when the foot is planted and the knee is contacted from the side such as getting “slide tackled” in soccer. This force causes hyperextension and extensive twisting of the knee causing the ACL to tear. The extent of the tear depends on the amount of force and twisting the knee has undergone. Many times the athlete will hear a “pop” after the injury. This usually is the result of a complete tear of the anterior cruciate ligament. When the ACL is injured, swelling around the knee will usually come on very quickly. The athlete will describe the knee as being very unstable and sometimes too painful to bear weight on it. Initially crutches should be used in order to take pressure off the knee. An MRI should be considered to see the degree of the ligament damage. 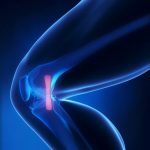 The meniscus is a “C” shaped piece of cartilage that sits in the knee joint and provides both cushioning and stability for the knee joint. There are 2 menisci in both knees. One on the inside and one on the outside within the knee joint. These menisci help to balance and distribute the stresses and weight across the knee joint evenly. When there is a tear in the meniscus this will result in pain and limited motion in the knee joint. 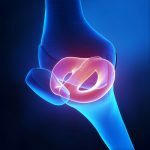 There will sometimes be swelling on the inside or outside of the knee depending on which region is damaged. This damage usually occurs when the foot is planted and the knee is twisted or turned very quickly. As with soccer you are constantly cutting back and forth with the ball and planting the foot when taking a shot on goal. This is the prime movement for injuring the meniscus. Over time wear and tear of the meniscus can occur making it more prone to injury. Tears are usually categorized into 3 stages—minor or grade 1, which are microscopic tears and can be fixed with ultrasound treatments, myofascial release, Kinesiotaping/Rock Taping and exercise therapy. Custom orthotics or over the counter shoe inserts are sometimes used in conjunction with these therapies in order to reduce the stress around the knee region. The second type of tear is moderate or a grade 2 tear. These tears are slightly larger and can take longer to heal. These will cause more pain and usually cause an increase in swelling around the knee. The knee will be very stiff and sometimes the person will describe a sharp pain in the knee joint when walking. Any bending, squatting or twisting movements may cause an increase in pain. The same therapy as above would apply to this grade of injury. The final type of tear is a severe or a Grade 3 tear. This will usually require surgery. A grade 3 tear will cause the knee to lock or catch during various movements especially running or sprinting. The injured player will describe the knee as being “unstable” and will sometimes hear a clicking sound when walking. This type of tear usually requires surgery and can be diagnosed with an MRI. This type of injury occurs when there is a blow to the inner or outer side of the knee such as someone slide tackling you in soccer. This contact will cause excessive stretching and/or tearing of the ligament. This can also occur by any unwarranted twisting on the knee. These ligaments connect the femur to the tibia and help to prevent lateral motions of the knee. When one of these ligaments is injured the inner and/or outer knee will be tender to the touch. There is often mild swelling near the joint and the athlete will have the feeling of the knee giving way. If the ligament ruptures during the contact the athlete will sometimes hear a pop or snapping sound. The degrees of injury can be easily detected with various orthopedic testing in our clinic. Based on the degree of injury a treatment plan can be devised to speed the process of healing. Is a tear in the muscles or tendons, which are located in the back of the thigh region. This group of muscles functions to allow the knee to bend or flex. People sometimes refer to this type of injury as a “pulled muscle” if it is in the belly of the muscle. If it occurs near the tendon it is considered a tendonitis. Hamstring tendonitis can progress to hamstring tendonosis if not treated properly. Tendonosis is a thickening and scarring of the hamstring tendon. This type of injury usually occurs when the hamstring contracts very quickly and forcefully which occurs many times throughout a soccer game or practice. This pain can sometimes radiate down to the back of the knee. The pain will feel like a burning sensation in most cases. 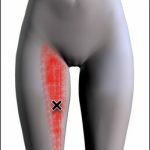 The area of the strain will be tender to touch and activities involving running, sprinting and jumping will cause pain. Most soccer players mistakenly interpret this hamstring pain as “hamstring tightness” or spasm. They attempt to stretch the area and massage it, often only aggravating the problem. This condition refers to a sharp pain that usually radiates along or down the medial (inside of shin) tibia. This area is sometimes referred to as the “shin bone”. 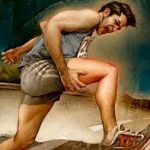 This pain generally occurs while running, sprinting or activities that involves sudden stops and starts such as soccer activities or drills. This pain will either get progressively worse with every step or will sometimes warm up as you run more and more. Running in the wrong type of cleats, not having enough arch support, and/or overpronation can predispose an athlete to shin splints or medial tibial stress syndrome (MTSS). Often changing to a stability or motion control type of soccer shoe will increase arch support and limit pronation thereby reducing stress on your legs. However, many soccer players need orthopedic inserts also called custom orthotics to decrease their pronation in addition to wearing a specific type of soccer shoe. Therapy is also an option. 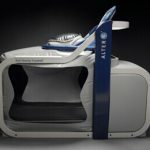 Ultrasound treatments, compression and Kinesiotaping are often successful in reducing the symptoms associated with shin splints or medial tibial stress syndrome (MTSS). We also make custom orthotics on-site at SDRI as opposed to using an outside lab. This ensures quality control and reduces the time from casting to fitting the orthotic by about 50%. The achilles tendon is a thick band of tissue that connects the calf muscles to the heel bone or calcaneus. This injury is usually referred to as an overuse type injury. 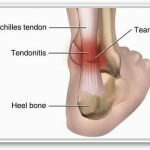 Achilles tendonitis will most commonly occur in an athlete who has recently increased their intensity and duration on their runs and soccer training. This type of injury has been correlated to the athlete having tight calf muscles and high foot arches. It also has been related to doing speed-training drills, sprinting and hill repeats. The injured athlete will describe pain that occurs behind their ankle near where the achilles tendon attaches to their heel bone. The pain can get progressively worse with speed or distance and can prevent one from running or playing soccer. Diagnosis by a sports medicine professional is important when diagnosing this condition since this condition mimics heel or calcaneal bursitis and other various foot conditions. Soccer players will usually describe a scenario where they iced and took anti-inflammatory medication combined with stretching but the achilles pain has gradually worsened. Heel bursitis is a very painful condition that complicates the treatment of achilles tendonitis. Some of the “quick-fixes” that athletes try include heel lifts in the soccer shoe to alleviate achilles tightness, achilles compression wraps, compression socks, new shoes or cleats that have an increased heel-toe height ratio and custom orthotics. I have not seen any of these “quick-fixes” for achilles pain work most of the time. The most effective self-help tool I have seen help achilles tendonitis is a proper achilles stretching routine, rest from running/playing and then when pain free, instituting an aggressive strengthening program that focuses on the “negative” aspect of a typical calf raise. By performing achilles eccentrics or “negatives” the athlete will strengthen their achilles tendons and hopefully prevent future achilles problems. This condition is common in people who play sports that involve changing direction quickly such as soccer. If to much stress is put on the muscle or tendons of the inner thigh region these areas can over-stretch and microscopic tears can occur. This is due to the fact that these muscles are contracted too forcefully especially during activities such as jumping and cutting back and fourth when changing direction while running. This condition involves pain or tenderness along the inner thigh region. Pain will increase when the thighs are brought together and the muscles are activated. Jumping or pushing off from one leg will also increase the level of pain. This type of injury needs to be addressed properly otherwise this injury can turn into a chronic problem. This condition affects the tendon that connects the patella or “knee cap” to the tibia or “shinbone”. The tendon helps the muscles of the knee extend so that the athlete can kick the soccer ball. This tendon gets damaged when doing lots of running and jumping activities. This condition is sometimes referred to as “Jumpers knee” but can also occur from other movements. This type of injury starts out as tendonitis or “inflammation” and can progress to a tendonosis or “microscopic tears and excessive scarring in the tendon”. There are many types of therapies, exercises, and braces/taping techniques that can help to alleviate this condition. This injury results from an over-stretch or tear of one or more of the ligaments of the ankle. These ligaments help to stabilize the joints of the ankle. The ankle is usually rolled, twisted or turned at an awkward angle causing excessive motion of the ankle. Most of the time this type of injury involves the ligaments to the outer ankle. This is very common in the game of soccer. Soccer players usually experience this type of injury multiple times throughout their soccer careers. Ankle sprains are graded 1, 2, or 3 depending on the severity of the injury. A grade 1 sprain involves pain with minimal damage to the ligaments. Some swelling can occur with this grade injury. A grade 2 sprain involves moderate damage to the ligament and there will be some laxity to the joint. This will take longer to heal than a grade 1 strain. The final type of sprain is a grade 3 sprain. This involves complete tearing of the ligaments and causes bruising and severe instability of the joint. This grade of injury will sometimes require surgery depending on the severity. Ankle sprains can be easily diagnosed through orthopedic testing. Depending on the severity an MRI may be necessary to see the amount of damage. There are various other causes of lower leg pain resulting from soccer type injuries out there but they are not as common as the conditions listed above. These conditions listed are the most common injuries that present to our office as well as many of the other offices around San Diego. Once an accurate diagnosis is made the most important thing is how you treat your injury. 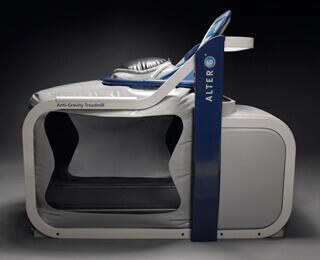 I cannot speak for all clinics that treat soccer injuries but in my experience diagnosing it accurately is straightforward. During the initial examination I perform a series of manual orthopedic and neurological tests that can differentiate between the most common conditions. These tests are sometimes referred to as “provocative” tests as they are intended to provoke the pain slightly which helps accurately diagnose the condition. These orthopedic and neurological tests help to differentiate between the various conditions and arrive at an accurate diagnosis. Typically, neither X-rays nor MRI’s are necessary to accurately diagnose a patient’s condition. In the cases of trauma X-rays might be used to make sure the patient has not fractured a bone but if any soft tissue injury is suspected X-rays are of little use. If an MRI is warranted we either order the MRI through the patient’s insurance or send them to a facility that we have a cash plan with. Surprisingly MRI’s can be done for as little as $500! I consider it both necessary and crucial to involve the patient not only in understanding their condition or injury but also in participating in fixing it by doing as much work at home, on his or her own, as possible. By doing the home stretching and strengthening routines patients can often avoid numerous trips to a therapist. We feel most patients, if given the proper tools, do not need to be baby-sat and pay someone to watch them exercise. If you suffer from either acute or chronic leg pain due to an injury and would like to receive an accurate diagnosis and treatment options please call our clinic today. Our office number is 858-268-8525. If you prefer to get more information before calling you can email Dr. Allen D.C. directly at drallen@sdri.net. Feel free to ask any questions you have and allow for 1-2 days to receive his response.